This article will discuss grits and their health benefits. Grits are well-known in the Americas, especially the Southern United States. They are widely consumed in this region. Grits are produced from ground corn (also known as maize). The corn is dried before they are ground. Grits are cooked in a variety of liquids including milk, water and broth. It is cooked until it attains a creamy and thick consistency, like porridge. Grits are widely eaten. But here’s the question… “Are they actually healthy?” Do grits bestow any health benefits on the body? Well, you will get the answer to these questions in this article. Here, we review grits, their health, and nutritive benefits. Grits are corn-based delicacies. This means that they are made from corn. Grits are native to Southern America. 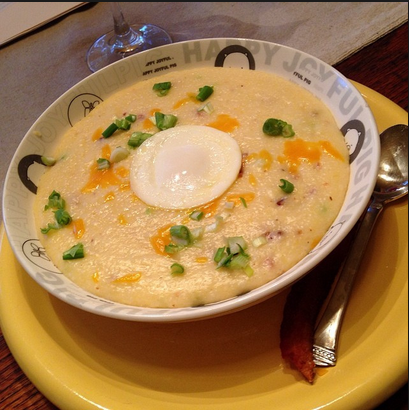 Grits are widely eaten during breakfast. It suffice to say that grits are a breakfast delicacy. They are produced from dent corn. Dent corn has a soft, and well-starched kernel (1). To prepare grits, the dried corns are crushed and cooked in some liquid – which may be milk, hot water, or broth. The cooking continues until the substance attains a thick and creamy consistency that looks just like porridge. Grits are garnished with tasty and flavoring ingredients such as syrups, sugar, butter, and cheeses. You may also garnish it with shrimp, catfish, and bacon. Stone-ground. Stone-ground grits are produced from whole corn kernels – well dried. These kernels are coarsely ground in a mill. It is difficult to find stone-ground grits in a grocery because of its short shelf life. Besides, it has a very long cooking time – roughly 30-60 minutes on a stove (2). Hominy. To prepare hominy, corn kernels are immersed in an alkali solution. This is done to make the pericarp soft. The pericarp is the hull or the outer shell. After rinsing and removing the pericarp, the kernels are further processed to make the hominy (3). Quick and regular. Quick and regular grits are processed. The germ and the pericarp are removed, thus giving it a prolonged shelf-life. The quick versions are well-ground while the regular version is finely ground (2). Instant. Instant grits are a dehydrated and precooked version of grits. Like the quick and regular version, both the germ and pericarp are removed. You will not have any trouble finding this one in a grocery store as they are widely available. Grits are rich in macro and micro nutrients including antioxidants, minerals and vitamins. One outstanding thing about grits is that they are rich in iron. 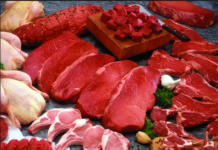 Iron plays a vital role in the production of red blood cells. Grits are also rich in B vitamins, like thiamine and folate. There are small amounts of pantothenic acid, potassium, vitamin E, and calcium (5). Nevertheless, the regular versions of grits do not contain much vitamins and minerals – such as vitamin A, vitamin C, and calcium. The stone-ground version of grit has a higher content of these nutrients owing to the fact that they are produced from whole corn kernels (4). The reason for this is that they are thoroughly processed, thus they lose the nutritious parts of the corn – which is the germ and the pericarp (2). Grits are laced with a lot of nutrients. Because of this, one is sure of numerous health benefits, and very impressive ones at that. Antioxidants protect the cells of the body against the deleterious effects of free radicals. Free radicals are molecules with a very high reactivity rate. Its interaction with the body’s cells and tissues causes chronic health conditions such as cancers and heart disease (6). Some of the antioxidants that are present in grits include caffeic acid, lutein, 4-OH benzoic acid, zeaxanthin, and syringic acid. These antioxidants have powerful health benefits (7). Zeaxanthin and lutein for example protects against cataracts and other eye disorders. They also protect the skin from the dangerous ultraviolet rays of the sun (8, 9, 10). Gluten is a term that describes a family of proteins found in grains such as barley, rye, wheat and spelt. 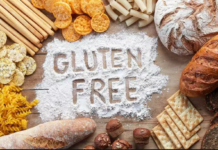 Most people are not allergic to gluten-based foods. However, some people may experience side effects from gluten-based foods. Mostly, these are people suffering from non-celiac gluten sensitivity, or celiac disease. Side effects experienced include diarrhea, stomach pain, bloating, fatigue and constipation (11, 12). Naturally, grits are gluten-free. This implies that they are a suitable alternative for people are allergic to gluten-based carbs. People who suffer from non-celiac gluten sensitivity, or celiac disease, should study the labels for warnings of gluten contamination. Why? Well, some food manufacturers may process their maize in the same machinery used for processing gluten-based products. Not good uh? We have already established that grits are rich in antioxidants. Some of these offer protective functions against eye conditions – chief among which are zeaxanthin and lutein. Zeaxanthin and lutein are present in the retina in very high concentrations. The retina is a tissue in the eye that converts light rays into signals that the brain can read (13). Studies have shown that a high concentration of zeaxanthin and lutein reduces the risk of degenerative eye defects such as age-related macular degeneration and cataracts (9, 10). Also, these antioxidants also offer protective benefits against the harmful effects of blue light (14). Blue light, or more appropriately, blue-wavelength light, suppresses the production of melatonin. Melatonin is a hormone that works in tandem with the biological clock – circadian rhythm, informing the body when it is daytime and nighttime. 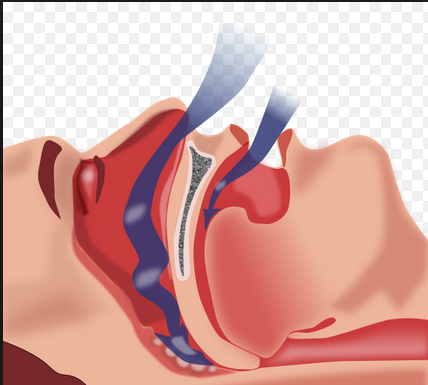 Thus melatonin relaxes the body so it can get a deep sleep. Excessive exposure to blue-wavelength light causes damage to the cornea. The cornea is the outermost layer of the eye (15). Anemia is a defective health condition. In anemia, oxygen supply to the tissues and muscles are not sufficient, and so these tissue fail to work at optimal conditions. Symptoms of anemia include shortness of breath, fatigue, and pale skin (16). Iron deficiency is one of the commonest causes of anemia. If you do not have enough iron in your body, your body will be unable to produce hemoglobin. Hemoglobin is a protein in red blood cells that helps the cells to transport oxygen to the cells, tissues and organs of the body (17). Grits offer protection against iron deficiency anemia. They are rich in plant-based iron. A cup of grits will give you around 8 percent of the recommended daily intake (4). Anemia may also arise as a result of folate deficiency. Folate assists in the production of red blood cells. Grits are heavily laced with folate. A cup of grits will give you around 25 percent of the recommended daily intake of folate (4, 18). Grits have good health benefits. This has been established. However, they also have some demerits. For beginners, grits are available in varieties, all of which are widely available. These include regular, quick, or instant – these varieties are all produced by a similar process – the pericarp is removed together with the germ (embryo), leaving behind just a starch component (2). The nutrients in grit reside in the germ and the pericarp, so the instant, quick and regular varieties are deprived of some of the nutrients that you will find in the stone-ground version of grit. The stone-ground versions are produced using whole corn kernels (2). Let us use fiber as an example. Processed grits do not contain as much fiber as the stone-ground grit. Why? Because the pericarp has been removed. This pericarp is the main source of fiber. Fiber cannot be digested by the body. However, it has a load of health benefits including reduction of blood cholesterol, weight loss, improved digestion, and the feeling of fullness (19). Even though the stone-ground version may be the best version of grit, you cannot easily find them in groceries, especially for those residing outside the Southern USA. Another demerit of grit is that they are garnished with ingredients that have a high calorie content, such as cheese, milk, syrups, fried catfish and bacon. Eating large amount of calories can lead to obesity-related health issues such as heart disease (20, 21). So what are the healthy ways to prepare and garnish grits? When it comes to taste, grits go well with calorie-rich ingredients. However, this may not be necessarily healthy. There are better ways to prepare grits. Water and broth should be more than milk. Grits are native to Southern America. They are made from dried corn, and are rich in B vitamins and iron. The more nutritious version is the stone-ground variety. This is because they are less-processed. Grits are healthy, but this healthiness may be defeated when garnished with high-calorie ingredients. However, you can enjoy the full, health benefits of grits by choosing low-calorie, but healthy alternatives like fresh fruits, water or broth in place of sugar/syrups, and milk. 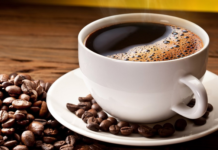 Next articleDoes Coffee Have Any Effect on Weight Loss?